Moose Welcome HookMeasures: Cast iron moose hook, perfect for any lodge decor. Measures 6 3/8"W x 7 1/2"H x 1 1/2"D.
Predrilled screw holes for mounting. 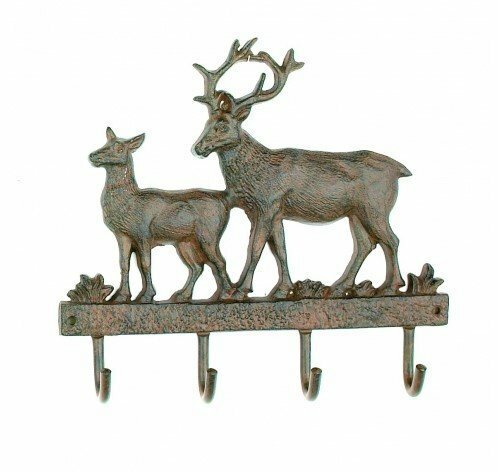 View More In Coat Hooks.